Your favorite movie is going to be remade or re-imagined. Just take a breath and accept that. Speaking of: Deadline announced yesterday that the 1975 coming-of-age tale Cooley High will be getting the reboot treatment. Devon Franklin, Tony Krantz (son to Steve Krantz, who produced the original) and Chicago’s own Common will be teaming up to bring a new version of the Chicago-shot classic to to theaters. 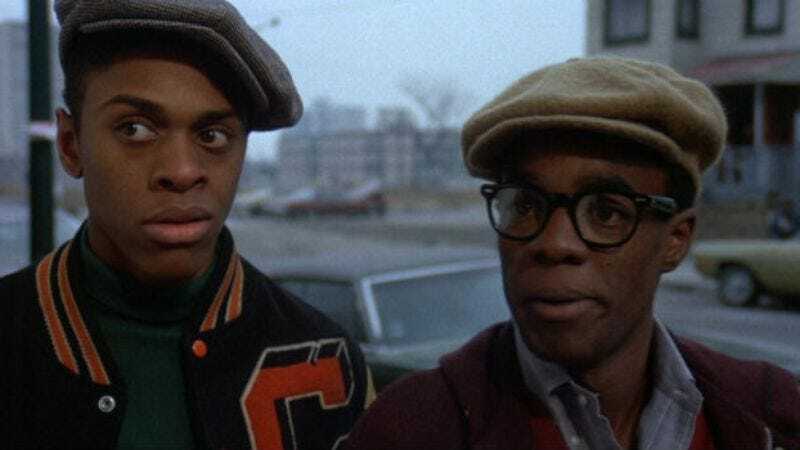 Cooley High was more sentimental than most of its blaxploitation counterparts, with more in common with American Graffiti and The Wanderers than Dolemite and Black Caesar. The story focused on the characters of Preach (Glynn Turman) and Cochise (Lawrence Hilton-Jacobs) as they make their way through teenage life on the south side of Chicago circa 1964. The film was lauded for mixing comedy and drama upon its release, dealing with themes of education and sexuality during teens’ formative years as well as tackling larger issues like gang violence and sexism. Writer Eric Monte based his script on his own experiences growing up in Chicago’s Cabrini-Green housing project. Much like the character of Preach, Monte eventually made his way to Hollywood, where he sold a script to the producers of All In The Family that led to the spin-off series The Jeffersons. Director Michael Shultz went on to helm Car Wash and Sergeant Pepper’s Lonely Hearts Club Band, which at the time was the biggest-budgeted movie ever helmed by a black director. Franklin, a former studio exec at MGM, now serves as President of Franklin Entertainment, a division of Sony that will produce the reboot. He, Common and Krantz feel that in this new era of racial unrest (really not that much different from 1964, or 1975 for that matter) it was a perfect time to revisit Cooley High. There’s no word yet on the script, or during which era the new film will take place. This won’t mark the first time that Cooley High has been re-imagined: At one point, ABC had planned a television adaptation of the film. A pilot was shot, but test audiences didn’t respond and the show was retooled, eventually evolving into What’s Happening! !, which strayed away from the more serious subject matter of Shultz’s original film.